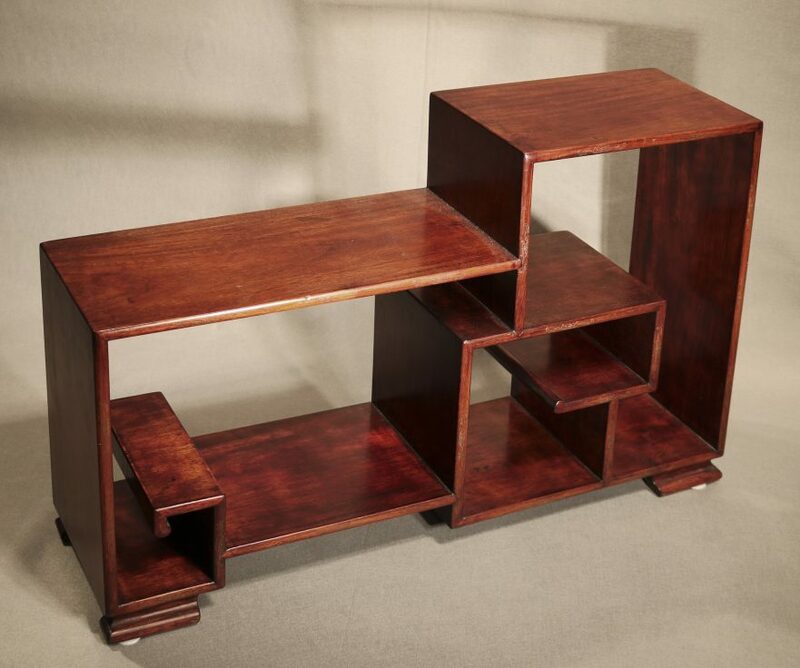 A Chinese Hongmu stepped stand (Duo Bao Ge), each of rectangular form with stepped shelves. 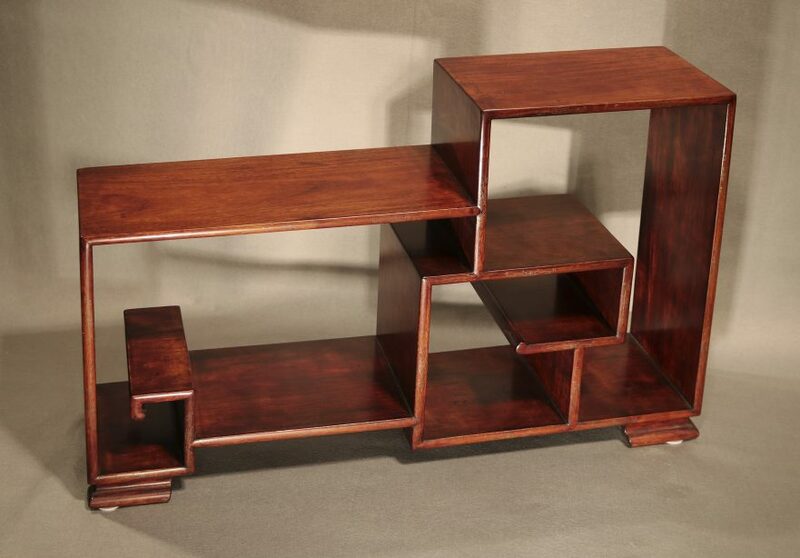 Duo Bao Ge can be considered both as a stand and as a miniature piece of furniture. 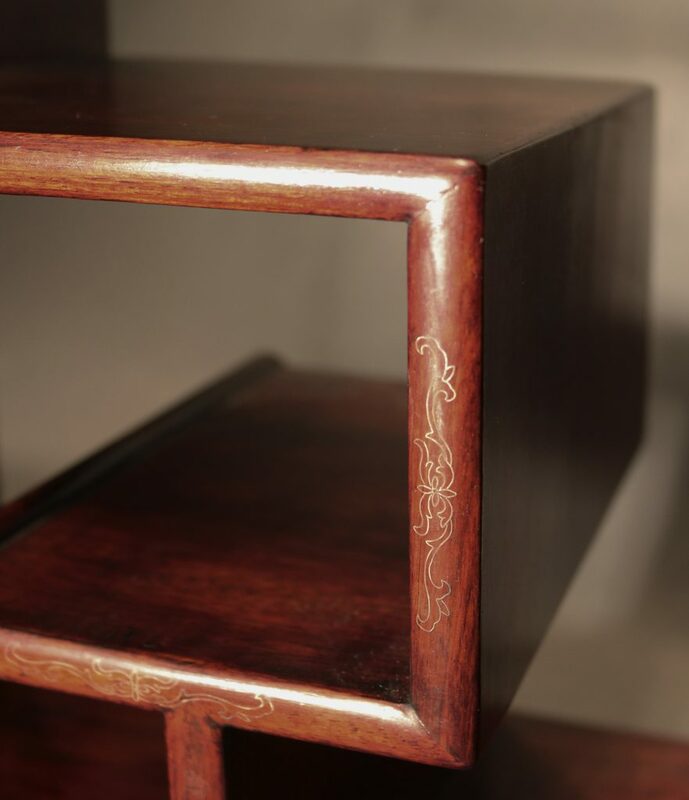 Some inlaid silver on the edges.